There’s no point in meeting up just once a month. Let’s continue the conversation and figure out SEO in 2015. We’re using this post to document every step of the way of teaching Las Vegas how great SEO is done. I’m Andrew, and I help Kenny with SEO here at NeONBRAND. 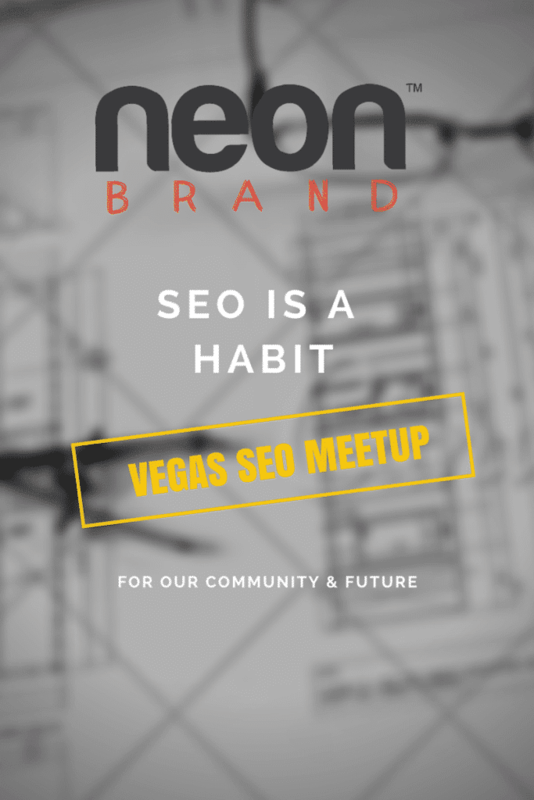 I’ll be moderating this page and interacting with our fellow Vegas SEO Meetup students. I’ll see you in the comments below. As someone who doesn’t use a wordpress site (yes, let the floggin commence) I love topics that discuss recent trending in SEO that I can utilize versus the various plug-ins…. What do you see coming for SEO in the first half of 2015? As always thanks for sharing your knowledge with us all! Ha, we still love non-wordpressers! Social media for 2015, all the way. Definitely make sure you’re being social, I think Google is dialing it in more and more as a ranking factor! Andrew is a Brazilian American, who's been living permanently in the USA since 2008. The financial markets was his first passion and he wanted to call Wall St. home. Wrong timing to be in the market, unfortunately.Things changed when he built a website for a close friend and it gained traction. However, something was missing. The website wasn't being marketed enough. Since 2010, content generation has been his only focus. content generation is the missing key to any door into online greatness.